I cover all things NBA basketball! Every team, Every player! This trade is an absolute best case scenario for the Hornets. They dump off Batum's contract and get back two quality role players. The Hawks would potentially agree to this because they don't plan to compete in the next couple of years. Both Bazemore and Dedmon are 29 and don't fit into the team's timeline. When the Hawks are ready to compete Batum's contract will have expired and they would be able to develop Hernangomez and whoever they drafted. The pick would likely land in the 15-20 range, giving the Hawks a nice selection. By getting rid of players that don't benefit the teams future and gaining young assets makes this a win for the Hawks. For the Hornets, Bazemore offers three-point shooting and perimeter defense they desperately need. Currently, the only good perimeter defender the Hornets have is Michael Kidd-Gilchrist, but his offensive game is not great, to say the least. Also, with most teams having multiple perimeter scorers only having one defender is not enough. Bazemore can exceed what Batum offered defensively and also shot 5.8 percent better from three last season (39.4% vs 33.6%). Adding another player to guard the wing and improve spacing should swing the close games in the Hornets favor. The second player, Dewayne Dedmon, is exactly the backup center the Hornets need. Bismack Biyombo or Hernangomez play the opposing team's offensive rating and rebounding percentage significantly increase. Right now, the Hornets have negative net ratings with either backup center on the floor. The only center with a positive net rating on the team is their starter, Cody Zeller, and he's often injured. Adding a defensive minded center who is also a good rebounder would help the Hornets immensely. Dedmon's also become a respectable 3 point shooter, which will aid the Hornets poor spacing. By adding two role players that perfectly fit their needs Kemba will have an easier time doing his job, leading to more team success. The Charlotte Hornets need to make a trade similar to this if they wish to resign Walker long term this offseason. If the Wizards decide to commit to tanking this season, this could be a win-win deal. The Wizards would only have to deal with Biyombo's bad contract for 1 more season compared to Porter's extra 2 years. Also, Bridges and Kaminsky are still extremely young and would help jump-start a rebuild. This move would not help them win in any way but would prepare them for the future. For the Hornets, they receive a second scoring option they desperately need. Although Porter Jr is essentially a spot-up shooter in Washington he's shown he can do more. With a bigger role in the offense, there is a chance Porter could live up to his massive contract. On defense, Porter is a much better defender than Bridges right now which would help the Hornets a lot. If the Charlotte Hornets make this trade, they wouldn't lose any on-court production. They have decided not to play Kaminsky or Biyombo heavy minutes and Bridges hasn't been a positive contributor. 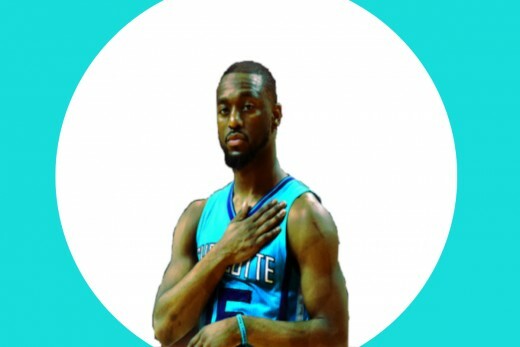 Losing his potential would be sad, but the Hornets need to compete now to keep Kemba. Additionally, there is still potential that Porter makes an unexpected leap with a new team. The Wizards have not been a good fit for him and Porter is still young enough to make improvements. Although both trades would cost the Hornets some of their youth, they would help them win now. The Charlotte Hornets are a trade away from securing a playoff spot in the East and convincing Kemba they are dedicated to building around him. The Hornets have to prove they're willing to make moves to bring in talent and want to be a competitive team. These trades allow them to do that and don't ruin their future. Hopefully, the Charlotte Hornets make a trade and Walker is able to find success with the team.